Crossroads: Change in Rural America! Congratulations on your selection to host the Smithsonian Institution exhibition Crossroads: Change in Rural America! As an exhibit host, you are required to provide proper credit to exhibit sponsors and partners. This document includes your full publicity requirements. If at any time you have questions regarding logos, credit lines or publicity, please call the Michigan Humanities at 517.372.7770. Contact your state and federal legislators with an invitation to the Opening Event, to view the exhibit and a thank-you letter for support of MH and the Smithsonian. Michigan Humanities relies on a combination of public and private funding to make grants and programs available to nonprofit organizations like yours. By helping to promote MH and your organization, you are not only assisting in our mission of increasing our visibility and potential for new revenue sources, but also creating support for your organization. The exhibition credit line, Smithsonian Institution logo and the MH logo must appear on all exhibition-related promotional materials. Examples of these materials include (but are not limited to) invitations, banners, signage, posters, public program brochures, postcards, and printed, video, internet and audio announcements. Crossroads: Change in Rural America has been made possible in [name of your town or organization] by the Michigan Humanities. Crossroads: Change in Rural America is part of Museum on Main Street, a collaboration between the Smithsonian Institution and state humanities councils nationwide. Support for Museum on Main Street has been provided by the United States Congress. Crossroads: Change in Rural America has been made possible in [name of your town or organization] by the Michigan Humanities. Please only use the Smithsonian and Michigan Humanities logos. Local sponsor logos should be smaller and separated from these two primary logos. The Smithsonian Institution logo is available in a number of layouts and file formats for download at www.si.edu/silogo. Additional MH logos can be found at www.michiganhumanities.org/publicity. DO NOT CHANGE THE LOOK OF THE LOGOS. MH is an affiliate of the National Endowment for the Humanities, and receives state funding through the state arts council. As such, it is STRONGLY ENCOURAGED that you invite your legislators to all exhibit-related events. Whether you think they can attend or not, advising them of programs in their state and district is beneficial and noteworthy. Again, as MH is the state affiliate of the NEH, it is strongly encouraged that you send a thank you letter to your Congressperson and Senators. This is to inform legislators of where tax-payer dollars are going, their purpose, and to inform them of the value of MH-funded projects. Template letters can be found below. 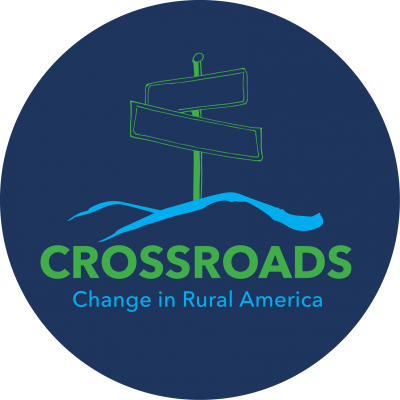 I am writing to invite you and your staff to the grand opening of Crossroads: Change in Rural America at the Smithville Community Center on June 1, 2018. This national traveling exhibit is supported by the Michigan Humanities and Smithsonian Institution. The exhibition will prompt discussions about what happened when America’s rural population became a minority of the country’s population and the ripple effects that occurred. The exhibit will feature interactive elements that will engage visitors to be a part of the conversation. Our event is scheduled to begin at noon on June 1, 2018, at the Smithville Community Center. The City of Smithville and the Smithville Community Center would love to share this event with either you or a member of your staff. And, if you would like, we would be more than willing to include you in the opening ceremony. I am writing to thank you for your support of the Michigan Humanities and Smithsonian Institution for the Crossroads: Change in Rural America exhibit. The project helped create several community events related to Michigan’s rural communities and to Smithville Community Center. The Center hosted lectures, performances and additional events to provide visitors the opportunity to know more about Smithville’s rural history. This exhibit project was made possibly with support from the Michigan Humanities and Smithsonian Institution. It was a wonderful educational and community success, as represented by the tremendous response and support at our events. Smithville Community Center is very appreciative of your continued support to help enhance the cultural experiences of our community.